Home » Category archives "Software"
The first thing you want to do is enable system protection and create a restore point. 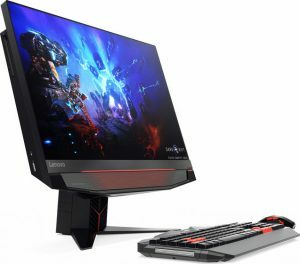 When you install software and new devices, things can go wrong, and the best method of recovering from that is to have a restore point that you can apply. Just remember to create a restore point before you install any new apps or add new hardware. This is the first thing that power users do when the set up a new installation. However, even normal users can benefit when they can see the extension of the file they are about to open. For example, when a virus changes an image to an executable, you will be able to tell immediately. One common mistake is to disable the login screen. Without the login screen there is no security, and if your computer is stolen, you can lose all your data to a thief. Make the login experience easier by setting a pin instead of a password; it is secure and easy. When you come from an upgrade, there will be a folder with the name “windows. Old”, which contains all the operating system files from the previous installation. Once you have a stable system and will not revert to the older OS, you can delete the folder and recover a lot of disk space. Google is once again targeting its next billion users. The next billion as referred to here are non-smartphone users in the developing world. If this sounds familiar, it is because Google previously tried to target the lower-end phone market with its Android One initiative. Unfortunately, Android One was not the world-changing strategy that Google envisioned. The new initiative is called Android Go. Android Go will follow a different plan to Android One which was a blueprint for lower spec phones running the full version of Android. Instead, Android Go will focus on building a version of Android specifically for phones with as little as 512MB of RAM. Even the apps will be optimized around lower bandwidth requirements. There will be a version of the Play Store designed for Android Go apps, much like the YouTube Go app which is running a beta in India. A program called “Building for Billions” will guide developers to create or optimize existing apps for the new platform. 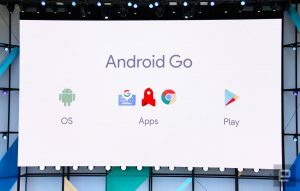 Android Go starts with the latest version of Android, currently called “O”. Google has committed to an Android Go release with every release of Android going forward. In fact, every phone with less than 1GB of RAM will get Android Go. With this move, it is likely that Google will also gain some of the markets that goes to cheaper devices which get much older versions of Android and other pre-loaded apps without Google Services. With this move, it is quite possible that Android will pass 3 billion users in the next two years. The most common way to spread malware of any sort is a link. The user needs to click the link and will then be taken to a page which loads the malware onto the phone or computer. Too many end users give themselves admin access to install applications. The best practice here is to give a separate account admin rights and then use that account when you need to install an application of make system level changes. The windows UAC is helpful in this regard but is also too often switched off. It is a good practice to also have a virus scanner like Windows Defender running and updated. Protect yourself from malware that we know about. Always keep the computer up to date. Whenever updates are available, install them. A lot of flaws are detected and fixed and by keeping your computer updated, a lot of the readily available tools online will be negated. 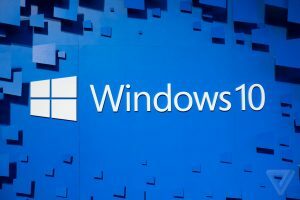 “In the release, Microsoft noted that its patent-licensing revenue was down 26% from a year ago. And it’s because of Android. 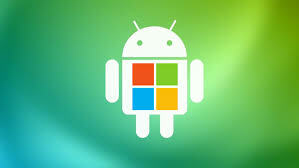 […] Suh also noted that not every Android manufacturer has a licensing deal with Microsoft. He didn’t name names, but Chinese phone makers typically take a very loose approach toward licensing American intellectual property, and as those inexpensive phones take over the world, Microsoft doesn’t benefit as much. The fall in sales for licensed partners like HTC, LG and Sony and the increase in sales of the iPhone with chinese phones is leading to less royalties. The concern for Microsoft is that this looks like it will only get worse.